Games are not won just by flight distance. 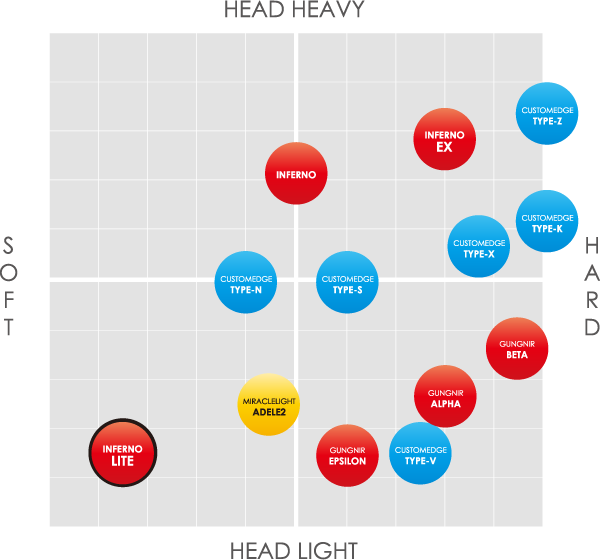 Games are not won through simply exchanging long-flight rallies. Surprise your opponent with consistent distance adjustments. Control of the velocity will make your long-distance attack more effective. Welcome to a new world of defense and offense. Is flight distance enough to make a good racket? 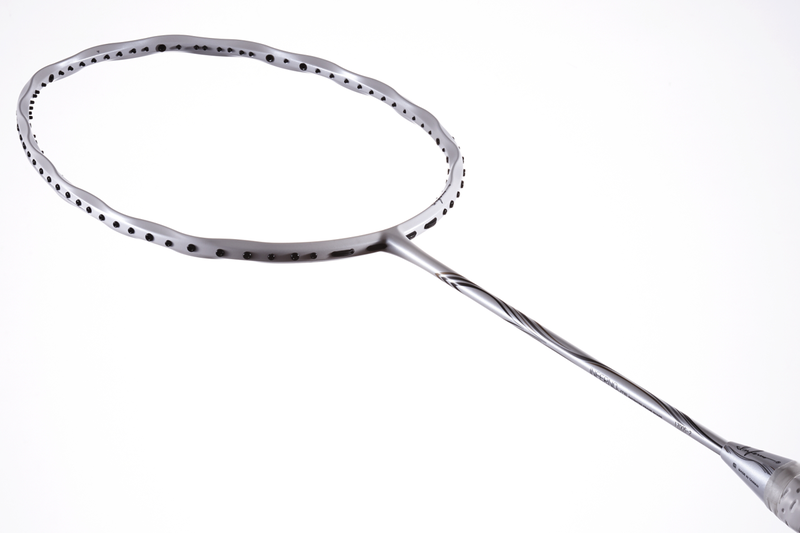 There are some cases where players can perform perfectly in practice, but once they start a match they can no longer deliver the shuttlecock as they want. Possible during practice, impossible during games. 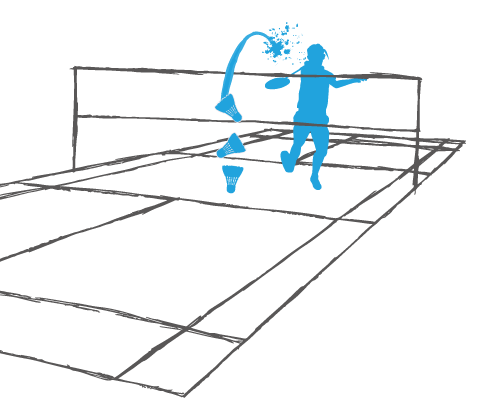 Unlike in practice, the course of the shuttlecock is unpredictable in actual games, and the positioning of the shuttlecock may be insufficiently precise, which can result in a poor smash with insufficient takeback. We developed a racket that produces a great flight distance, even with a swing with a small takeback. 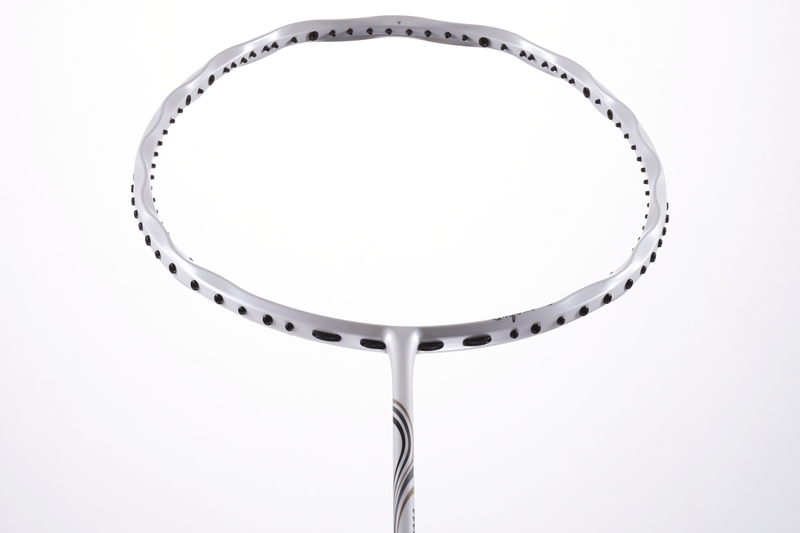 This newly-developed racket enables the player to make a clear shot with ease, even when the positioning of the shuttlecock is inaccurate. However, a new problem arises as the flight distance performance is improved. No reversal of the offense and defense situation. There will be no reversal of the offense and defense situation if you just keep exchanging a long-flight rallies. To make your rally variations effective, speed-suppressed braking shots, as well as cutting and dropping shots, are essential. 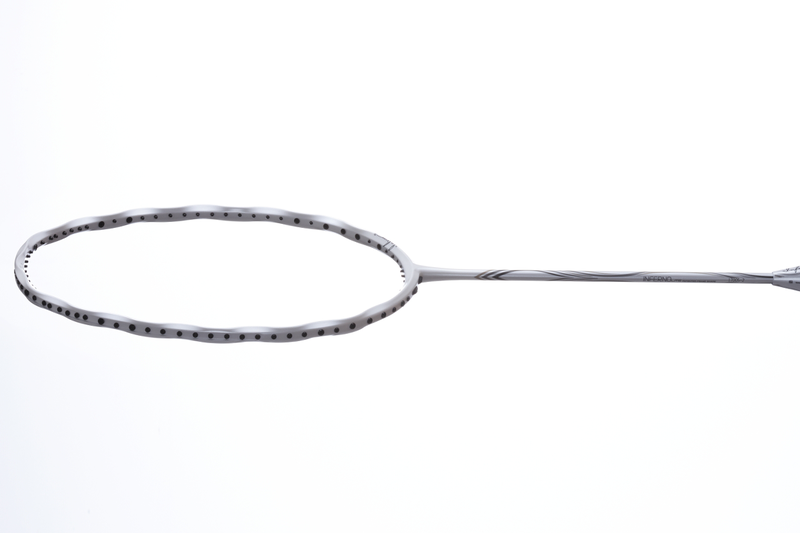 This enables players with small takeback to achieve both long-distance shots and speed-suppressed braking shots. 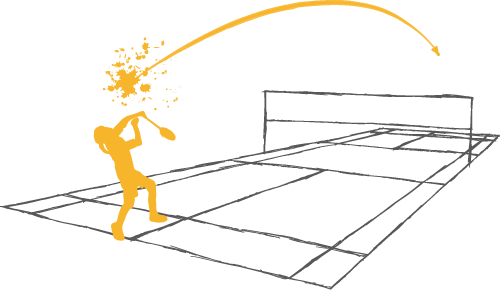 You can take time for the next action, such as positioning the shuttlecock, by combining your high-clear shot that flies a long distance, with a small takeback, smash return, and braking shot, the speed of which is reduced right over the net, to improve your strategic performance. In badminton, strategic performance is important. Not only the flight distance of the shuttlecock, but also speed-suppressed braking shots, will be a shortcut to victory. Three functions that ensure long-distance shots and suppress the shuttlecock speed. 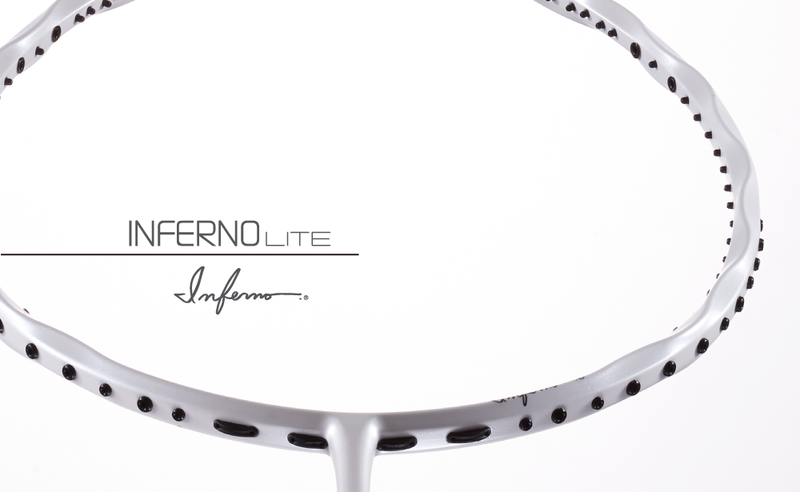 GOHSEN’s INFERNO LITE adopts a super-flexible shaft with its restoration limit strength improved by 10.7%. The rigid but super-supple FLEX frame matches well with the INFERNO gut to ensure a smooth swing. Special structure that combines strength, power, and control. The Inferno frame's structural strength is 13% improved from conventional frames, and its torque and surface stability are also outperforming the average frame. 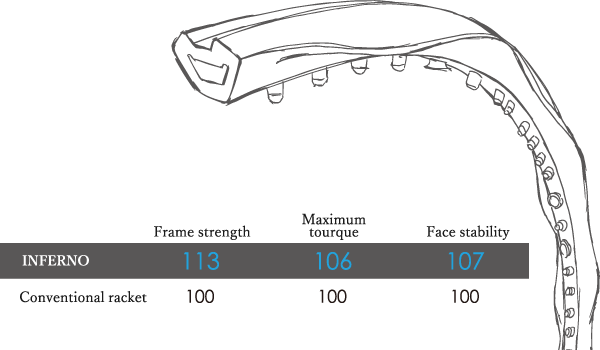 To design special structured frame, the presicion of carbon prepreg is requred much more than for conventional rackets. 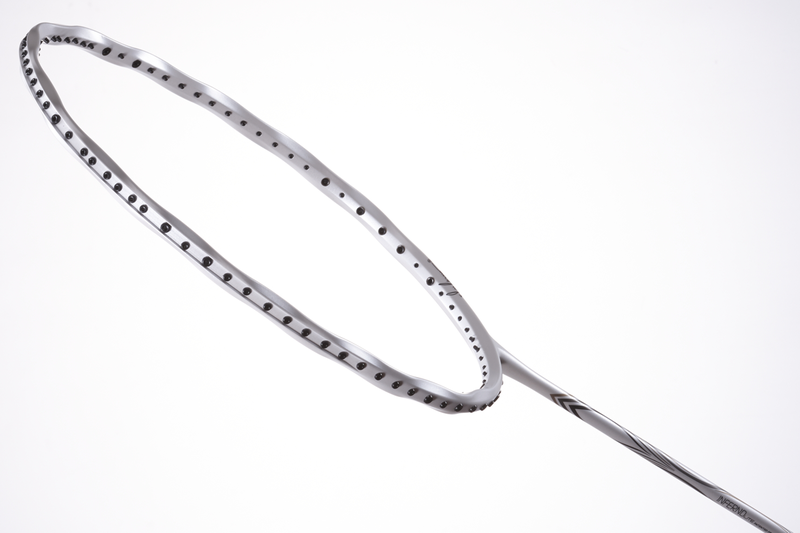 Mitsubishi Chemical PYROFIL used for INFERNO EX racket is the material which has already adopted for the material of aircraft and golf shaft. 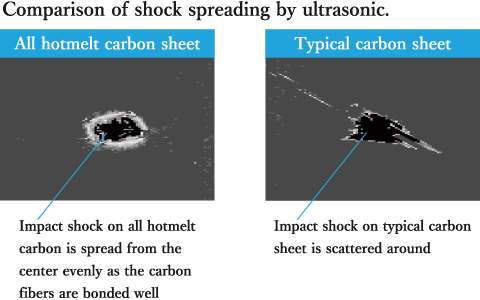 Moreover, all hotmelt processing realized high strenth and clear feeling at impact.